Term 2 of the Udacity VR Nanodegree focused on VR Platforms and Applications. 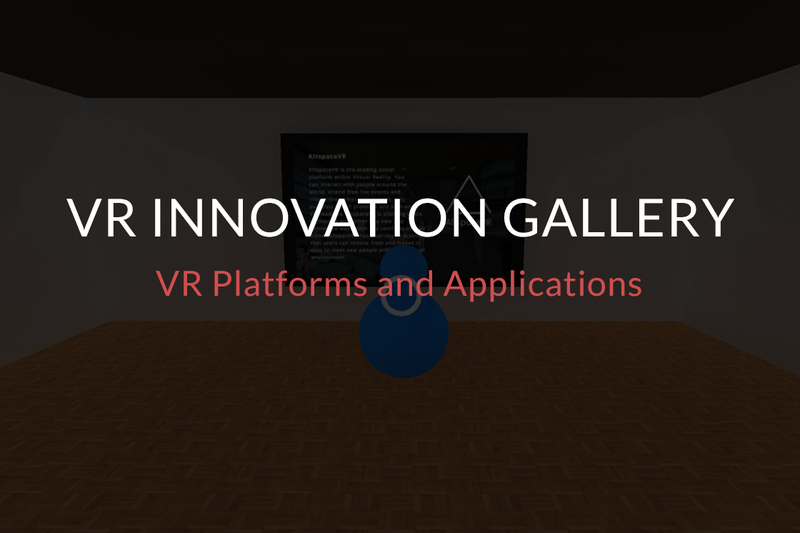 We were challenged to build a museum/gallery experience for VR focusing on various innovations and companies in the industry. We focused on the design process and how to put together a Virtual Reality experience that the user will love to use. 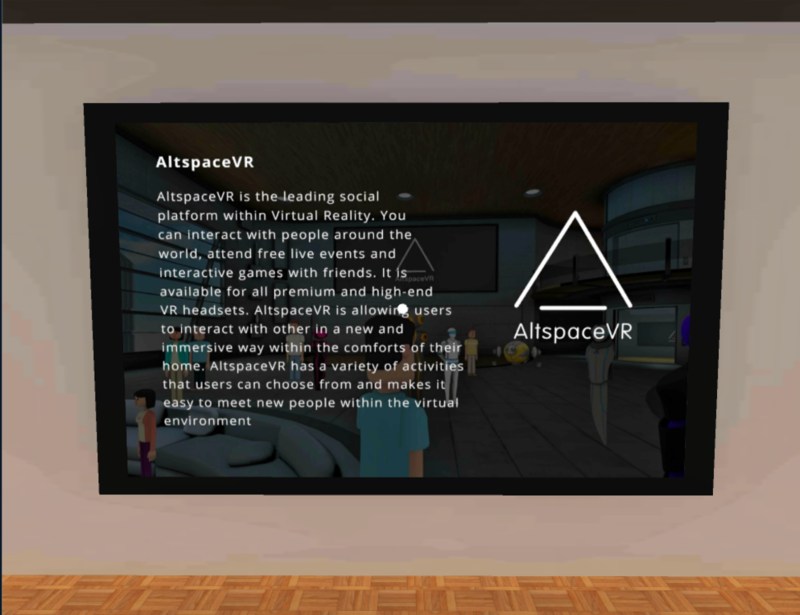 Through this experience, I talked about companies like Neurable, AltspaceVR, Decentraland, Quantum Capture and MergeVR. The experience begins inside the VR Gallery. 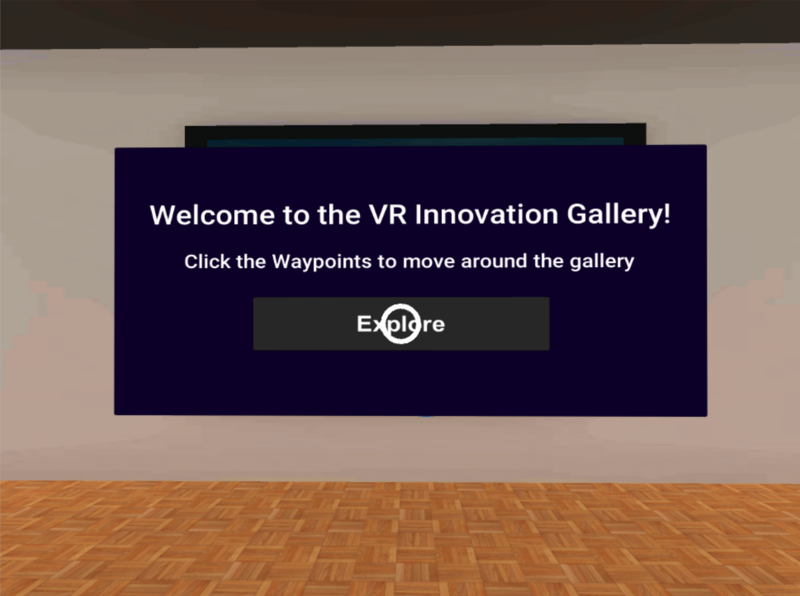 The experience displays with a start screen displaying simple instructions on how to navigate the gallery. The user can start the experience as soon as they by clicking “Explore” as soon as they are done taking in their surroundings. 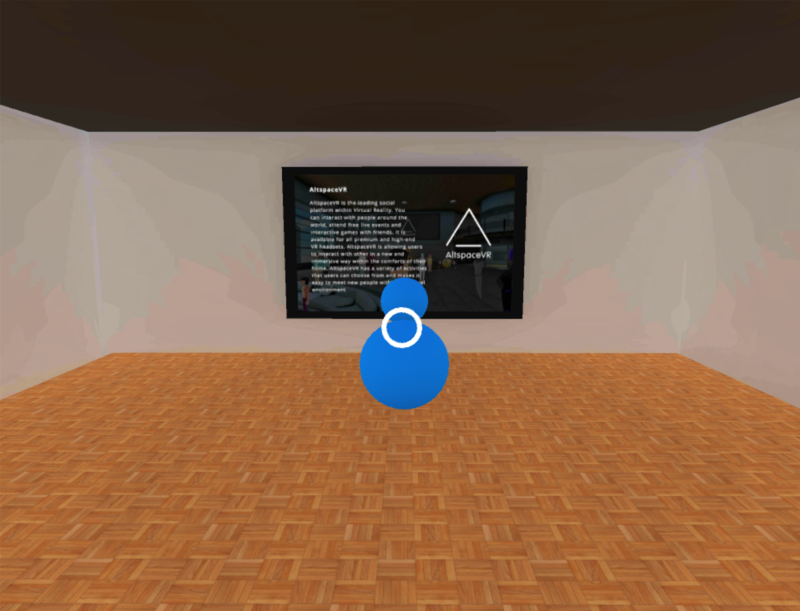 The gallery uses a waypoint navigation system and teleports you to different points in the gallery using these waypoints. All the waypoints lead to 5 different stations talking about VR Innovation and Companies. The waypoints provide audio feedback when clicked. Each station includes a summary of what their company or technology is. Each stations has different audio playing in the background and these includes narratives, dialogue and sound effects. The user can then proceed from this stations to explore the rest of the gallery. 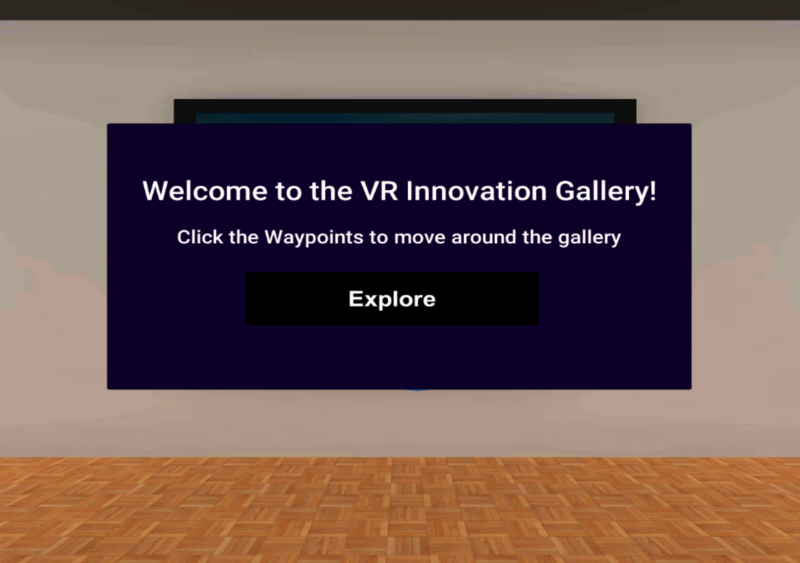 Purpose: VR Innovation Gallery is a mobile VR experience for users who want to explore emerging technologies in the VR industry while enjoying a rich VR experience. The target of this experience is for children and middle aged individuals who are interested in Virtual Reality and want to learn more about technologies and companies within the industry. Sketches are important when creating a VR Experience. Before designing your environment in a 3D Game Engine like Unity, you need to first roughly visualize how you want you environment to look through sketching. The user feels small in the environment. The user really likes the station format. 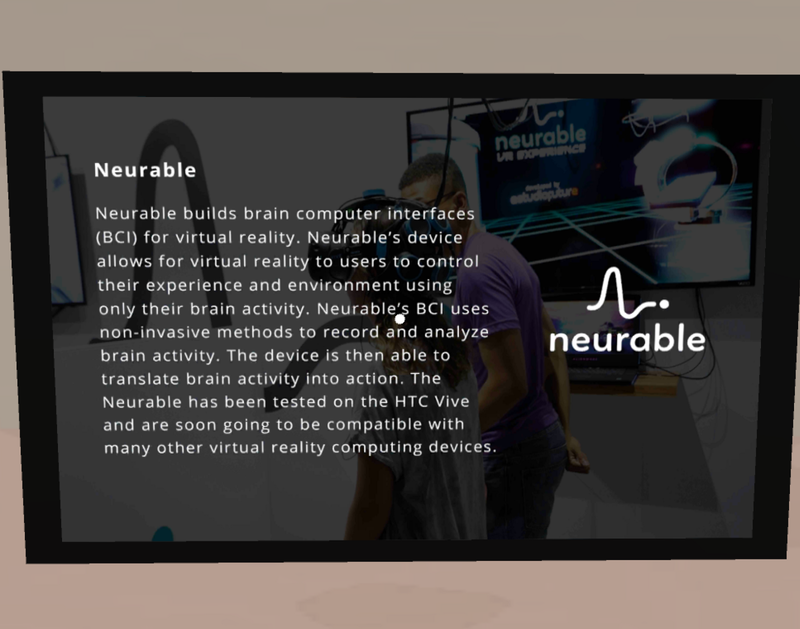 The user thinks the text is very visible and likes the image in the background and thinks it helps them visualize the technology. The user advised to replace some of the images as they were blurry. The environment was scaled down based on the user’s feedback. Images were updated on certain stations based on the feedback. The user no longer feels small in the environment. The user finds the instructions to be very clear. The user thinks the Start Screen is too large. The user liked the waypoint navigation system. The user thought the waypoints were placed too high relative to the user’s size in the environment. The Start Screen was scaled down and the waypoint's height was decreased based on the the user’s feedback. The user enjoys the audio narratives. The user suggested some adjustments in volume. The user liked the spatial sound as well. The user liked the audio feedback from the waypoints and thought it made it more clear that he had clicked it. The user thinks the visual feedback on the start screen is very effective and is a simple way of showing that he can click the button. It was an amazing experience learning about the different technologies and companies in the VR industry that are innovating in the field. 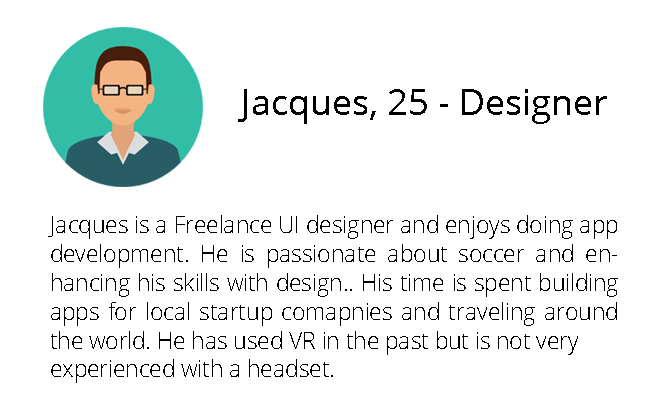 This helped me to further enhance my skills with VR Design in terms of sketching, ideation and user testing. User testing was extremely useful in this project and helped to refine the game in terms of scale, lighting, audio, visual feedback, etc. Refining audio to create a more quiet and focused experience. I am a 14 year old who is passionate about Virtual and Augmented Reality Technologies.